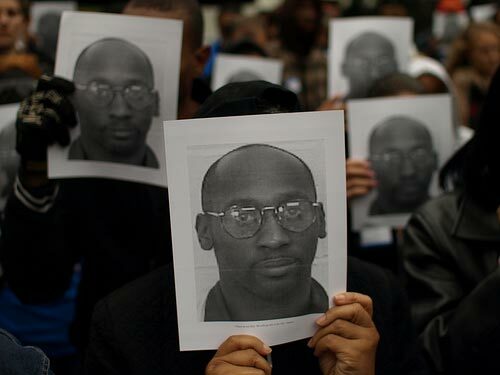 Brother Jesse Blog: Supreme Court Rejects Appeal of Death Row Inmate Troy Davis: Is Execution Next? Supreme Court Rejects Appeal of Death Row Inmate Troy Davis: Is Execution Next? Georgia death row inmate Troy Davis could be facing a fourth execution date after the U.S. Supreme Court rejected his latest appeal on March 28. Justices halted Atlanta’s 11th Circuit Court of Appeals from examining the controversial case, in which Mr. Davis was convicted and sentenced to death for the 1989 killing of Savannah police officer Mark MacPhail. His sister, Martina Correia, described the decision as “shocking” and “hurtful” to the plight of her brother, who has gained global support. “We’re saddened and distraught by this but we can’t afford to wallow in grief because then we will lose the strength to keep fighting on. Troy told me it is not over until God says it is over,” Ms. Correia told me in a phone interview on March 31 for The Final Call Newspaper. She had an opportunity to talk with her brother and planned to visit him in prison soon. “Of course Troy is hurt by the news but he’s more concerned about his family and all of the supporters more than his own life. If he’s given clemency then we can keep fighting. If they kill him, we will work to clear his name which is known all over the globe,” she said. "The government is always talking about human rights violations in other countries but don’t want to acknowledge the human rights violations in our own country," she further stated. Mr. Davis was convicted and sentenced to death in 1991. Witnesses claimed Mr. Davis, who was then 19-years-old, and two others were harassing a homeless man in the parking lot of a Burger King restaurant when off-duty officer Mr. MacPhail arrived to help the man. Witnesses also testified at trial that Mr. Davis then shot the officer twice and fled the scene. Since 2007, the state of Georgia has slated Mr. Davis for execution three times only to have it overturned within hours or days. Since Mr. Davis' conviction, seven of the nine witnesses against him have recanted their testimony and no physical evidence has been presented that links Mr. Davis to the killing. Read more about this in an upcoming edition of The Final Call Newspaper. Thank you for sharing this. I will definitely keep this brother, his entire family as well as the community in my prayers. I love what Ms. Correia said about not being overcome with grief at this time, although acknowledging her sadness, "...because then we will lose the strength to keep fighting on". That's a very strong spirit to have. I'll be sure to check out the upcoming Final Call issue for more.